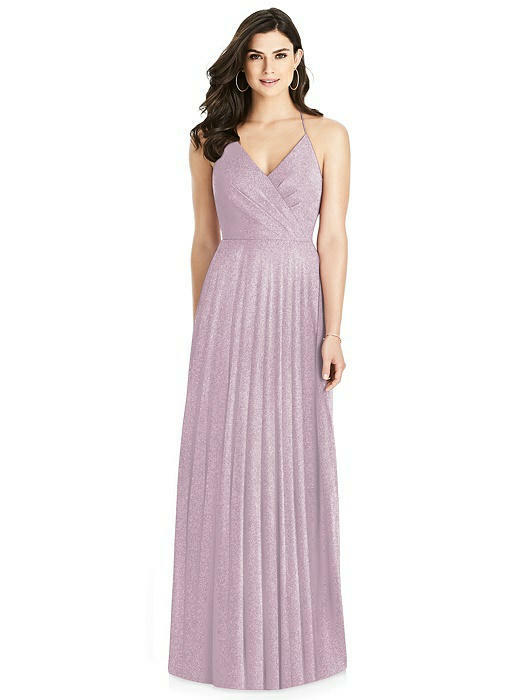 A figure-flattering draped wrap bodice and ruffle details offer a charming aura on this glittering full-length Lux Shimmer Chiffon dress. Romantic inverted V spaghetti straps on a low back contrast against the V-neckline, providing a stunning look. Complete with a modified circle skirt, the luminous silhouette is the epitome of well-balanced charm.